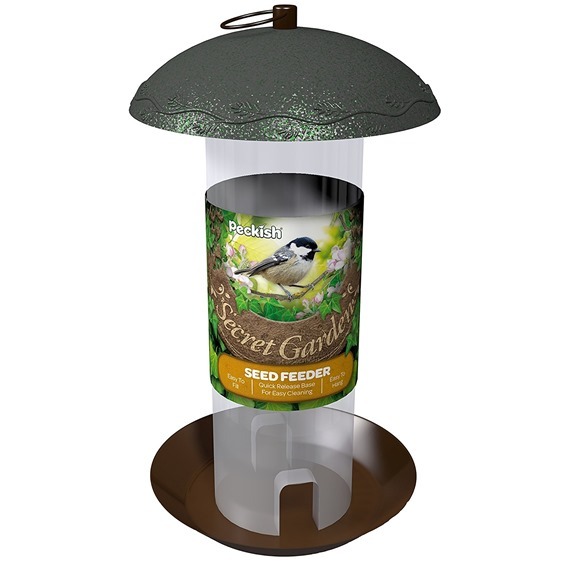 Secret Garden Seed Feeder - Slim (PECK-SFSLIM) - RWBF Co. This Secret Garden seed feeder is made from hard wearing metal. It is finished in a nice decorative Antique finish. The seed tray helps to reduce spills and waste.